Professor Mitchell, what is the difference between being depressed and just feeling bad about yourself? Sometimes it’s easy to tell the difference; sometimes you’re not certain. I look for clinical indicators of depressive illness: whether the person’s life is becoming impaired by these bad feelings, when it’s starting to interfere with people’s sleep, appetite and weight, when it’s interfering with their work and concentration, they’re having suicidal thoughts, they can’t buck up. Those symptoms help me to sort out whether it’s just life problems or whether it’s more. So depression is an illness? Yes. Even though there are both psychological and physical parts to it, it makes sense to think of severe depression as an illness. There are good medical and psychological treatments that can help people get out of it. What proportion of the population is depressed? Figures vary, but over a lifetime about 15% of the population are prone to getting depression on at least one occasion. So it’s relatively common. Some people only have one episode, but for at least half of those who suffer depression once, it is a recurring experience. Is depression the sort of thing that certain personality types are likely to suffer? I think that’s true. Anybody is vulnerable to becoming depressed, if things get difficult for them, but some personality types are more prone than others. For instance, if you tend to look for your own failings and weaknesses, if you expect disasters, you are prone to becoming depressed. People who have fragile self-esteems are prone; people who are excessively perfectionistic can be thrown when things don’t go quite right; people who have long-term high levels of anxiety. Can you describe what it is like to be depressed? Patients find it quite hard to describe. They often use analogies, like there is a ‘black cloud’ or a ‘weight’ on them. They say that they just can’t enjoy things any more, that they can’t get the drive to do anything; they stay in bed because they just have no energy or enthusiasm. They tend to ruminate and think about their failings, their hopeless situation. But many people find it hard to communicate the experience; even very articulate people have told me how difficult it is to communicate the experience to other people. On the other side of the fence, what is it like to be close to someone who is depressed? I think it’s very wearing. It never ceases to amaze me how couples stay together, particularly when it’s prolonged. Even with the best of good will and human kindness, long-term depression can be a very tiring experience for a spouse or close friend. You may get little response from a depressed person, little enthusiasm, withdrawal. They don’t want to interact socially and sometimes they can be quite irritable. Within a marriage, tension may be increased because the depressed person has no interest in sexual activity. So these things exacerbate the problem. I sometimes hear it said that depressed people ought to just ‘snap out of it’. Can they do that? Not when the depression is severe in the way we have been talking about. If someone can snap out of it, usually they have by that stage. In general, a depressed person doesn’t like the experience and if it was a matter of just getting on and doing something, they would have tried it. Sometimes people need to learn psychological ways of getting out of the depressed state. But sometimes there is a biochemical process going on that means the person isn’t physically able to snap out of it, without professional help. Often there is a mixture of the physical and the psychological. It’s very rarely one or the other. The more I see depression, the more I see a complex interplay between personality, the biology of our brains and our life experience. So depressed people can’t snap out of it, but they also can’t explain very easily what is actually troubling them. It’s a very frustrating illness! Absolutely. It’s hard for people who haven’t dealt with it professionally to have any idea what it’s like to be depressed. So people have this difficulty understanding it, and this tendency to think that the person should be able to get out of it, and the depressed person has difficulty explaining the experience and feels frustrated and stigmatized when people are telling them to snap out of it, because they know they can’t snap out of it. There is enormous tension. I suppose the big question is, for both the depressed person and those around them, can depression be cured? Most people with depression can either be cured or significantly helped by available treatments. These days, we have very good treatments. We can’t help everybody, but we can help the vast majority of people we see. Is it always a long-term cure, or can it happen quickly? It varies. Often within a few weeks many people have benefited significantly. Some forms of depression require more long-term psychological treatment, others respond very quickly to medication. And there are grades in between. Is depression like alcoholism, where you can get it under control but never really be beyond its reach? For most people, that’s probably a realistic comparison. I tell people that they are always going to be prone to becoming depressed, so they need to be wary about relapses in the future. They need to be sensible about their medications, learn techniques to help them, think about whether there are aspects of their lives that they need to change. We can’t always prevent future episodes, but we can usually make them less likely. The poet Les Murray recently has been very public about coming out of his depression. It’s interesting that some of the best poetry is written by people who have been depressed. Look at William Cowper, a Christian poet and hymn writer who wrote some of his most moving material during periods of profound depression. So depression can be both creative and destructive. This raises an important issue for Christians. How do we connect our mental and our spiritual lives? 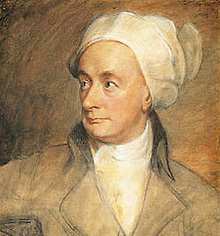 Cowper became very doubting at times, during his depression. One thing many Christian patients say is that God seems very distant during such periods. I’ve come to accept that as part of the depressive experience rather than a problem with their faith. I’ve seen people with a very deep faith, who yearn to be close to God, and who when depressed feel very barren and remote from God. For instance, J. 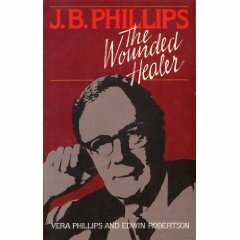 B. Phillips, the Bible translator, was profoundly depressed for much of his adult life. He has described this sense of distance from God. That is very distressing for Christians. They begin to worry that it is a lack of faith or lack of spiritual growth. 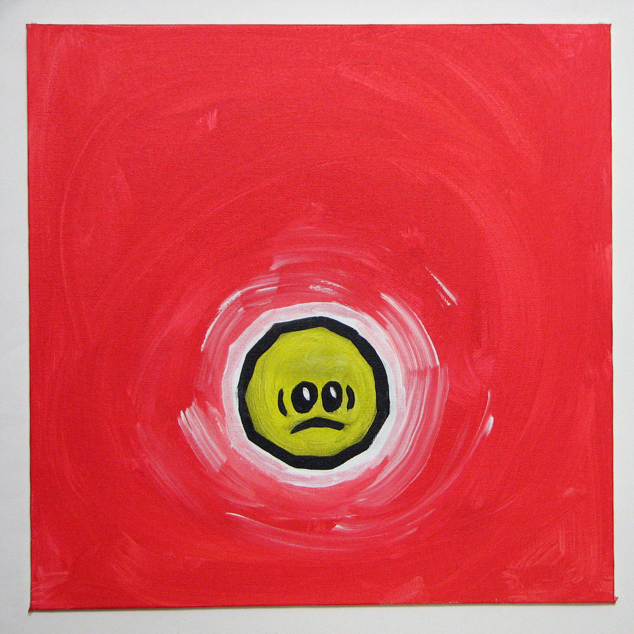 But having seen it enough, I think it is just an expression of the depressive experience. Many Christians also feel that depression is a sign of weakness, of spiritual inadequacy, and they have a strong sense of guilt. Unfortunately, I think that often the church, explicitly or implicitly, has encouraged that—that if you have depression, it’s a reflection on your spiritual life. This adds an incredible burden to people who are already feeling guilty and self-critical. It’s a bit like Job’s encouragers, who basically made him feel worse. Why does there seem to be a large number of depressed people in our churches? It’s often the more sensitive people who become depressed, and there are often a lot of obsessional and sensitive people in churches. My experience is that there is a lot of depression in our congregations and that we don’t handle it at all well. We often infer, explicitly or implicitly, that the Christian shouldn’t have the experience of depression—that it’s not part of the victorious Christian life. And that causes enormous guilt and makes people less likely to talk about it. I think we have a lot of silent suffering going on in our churches. People just aren’t getting helped, because they feel guilty about having depression. We need to bring out into the open the fact that depression is a common experience, even within the church. And that being a Christian doesn’t stop you from getting depression. And that having depression is no more a failing than having diabetes. In general, the church deals very badly with mental illness. In the middle ages, it was considered demon possession; in the late 20th century it’s considered a symptom of spiritual inadequacy. But it isn’t necessarily either of these things. Are people in very demanding ministries especially prone? They are prone; I don’t know about especially. They are in line for so many of the factors that contribute to depression: burn-out, demoralization, excessive demands, not looking after your own emotional needs, not having time to yourself. I see some of the casualties, and often by then it’s too late because someone has resigned from the ministry or become completely disillusioned. And it’s all too hidden, too hush-hush. We’re dealing with it no better than the secular world; in some ways we’re doing worse. What then are the ways that a depressed person can be helped, both by individuals and by the church? Well, especially in the early days, one can be supportive, help people get back into their lives—those normal things of friendship and support, being a sounding board, willing to listen to difficulties. These things might be sufficient to alleviate the early experience of depression. But if we’re looking at a fully formed depression that’s been going on for a while, the person should be encouraged to seek proper professional help. That doesn’t always mean a psychiatrist; it might mean a GP or a counsellor. Just someone with the skills and training to help. So that’s the first thing, when the support networks have been stretched to the limit. While that process is happening, it’s important to be around for the depressed person, accepting the fact that it might be a frustrating experience until that person picks up. Not feeling that you have to do everything yourself. There has to be a point where a friend accepts that they can’t provide everything the person needs. That point is usually indicated by signs like someone crying constantly, their work falling apart, withdrawing inexplicably, perhaps losing weight. These things indicate that the depression is getting severe. Finally, do you think depression has become more of a problem today than it used to be? It’s an area of debate. There’s no doubt that depression has always existed. The old Greek medical writers are clearly describing patients with depression. There was a book written in the 17th century called The Anatomy of Melancholy which described what we would call depressed patients. So it goes back through the ages; it’s part of the general human experience. The issue is whether it has become more frequent. People have looked at the occurrence of depression in groups of people born in different decades in this century, and the frequency of occurrence seems to go up as the decades continue. People born in the 60s are more prone to depression than those at similar ages, but born in the 30s. Now, the significance of that is debated. It could be that people in recent decades simply have become more willing to admit to their depression, hence the higher rate of reports. Or it could be true that it is becoming a more common experience, and presumably that reflects changes in society. What those changes are is a very difficult question to answer. So it’s hard to say whether the loneliness of urban living is a major factor? Well yes, and it’s a very interesting area of debate. The World Health Organization has released predictions of the impact of different illnesses over the next century. They are saying that depression will be the 21st century’s most disabling condition, in terms of the impact on the individual, frequency and cost to society, on a worldwide basis. That survey included all medical conditions, including cancer and heart disease. So there is a recognition that it is a very prevalent condition, and that it is a very disabling condition to have. Whatever is causing it, we’re going to have to deal with it. 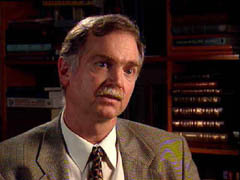 Philip Mitchell is a Professor at the School of Psychiatry, Prince Henry Hospital in Sydney, Australia. Thank you Keith for sharing your story, l too, he experienced the same, as a Christian, who has dealt with depression all my life. This article by Dr. Mitchell is so accurate. As a Christian who has suffered from depression my whole life, I have never really fit in with the church. When you’re differently wired than others you never really fit in, no one can relate to this condition. I tried for years to be like the others, but never made it, you can’t make friends or be understood. Everyone said that I was focusing on myself too much, and that was a sin. Today I don’t go to church but study my Bible at home with my wife. I feel the most sane, safe and sound than I have ever felt. Is what is so sad is that the church has never understood the Christian with mental disorders and depression. Our son is manic depressive and was told by an elder in one of the many churches we went to that he was demon possessed. We finally gave up on ever finding a church that understood families with mental disorders. I am so glad that Jesus understand’s those of us who are different. We’re people too, and He loves us!